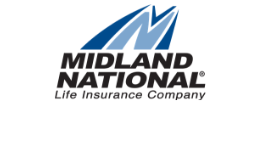 In 1909, the Dakota Mutual Life Insurance Company, which would, in 1925, change its name to Midland National Life Insurance Company, reorganized as a "publicly traded" company. This was just three years after the founding of the company in 1906. And just one year after the first death claim. The reorganization as a publicly-traded stock company was done to make it easier to raise capital for continued growth. 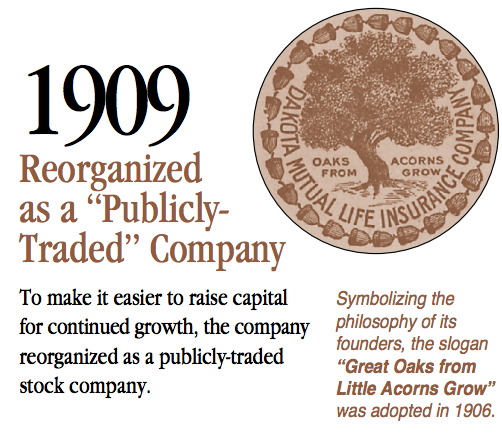 Also, you can read the story of the "Great Oaks from Little Acorns Grow" seal and campaign for the company here.